Details about Ardell Brow Building Fiber Gel - PICK 1 Shade - define eyebrows liner Oz. Ardell Brow Building Fiber Gel - PICK 1 Shade - define eyebrows liner Oz. Instantly shape, rebuild and set brows into thick arches like a pro! 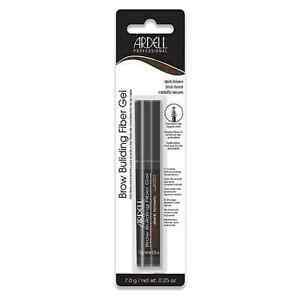 Ardell Brow Building Fiber Gel adheres to brow hair to produce thicker brows. Perfect eyebrows are yours with these dark brown brow building gel!